We were fortunate to snag some prime real estate in the California Handmade: State of the Arts exhibition at the Maloof Foundation. The credenza is the first thing you see when the gallery doors open. Incredible honor! Pictured here you can also see the work of 2 masters. 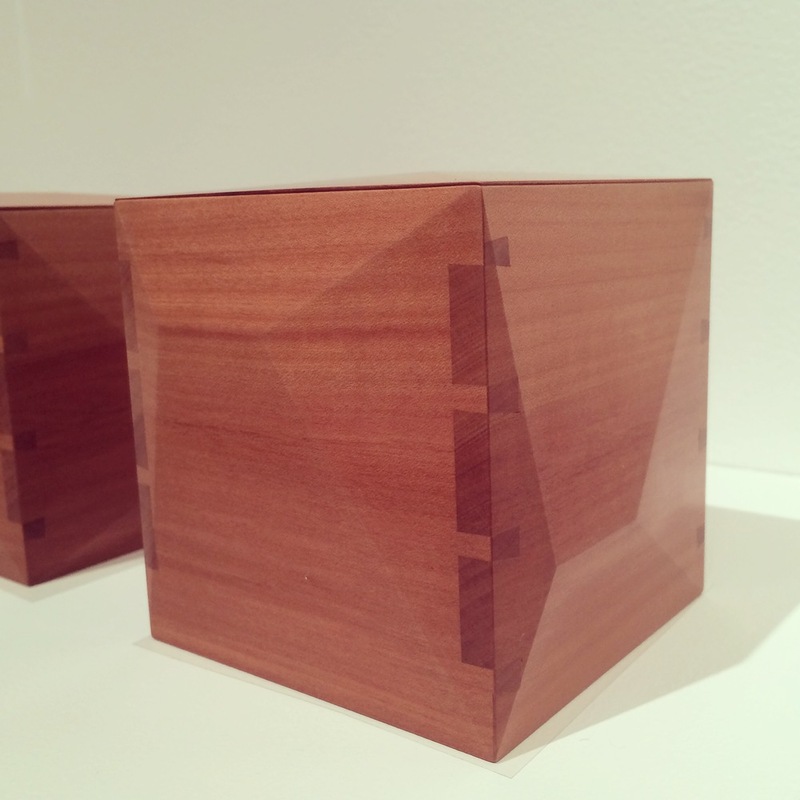 Our friend and mentor Laura Mays of Yaffe Mays exhibited the elegant Facet Boxes. We've also also been admiring (perhaps ogling) the new Ample chair Yaffe Mays recently completed. The other work is a quiet and beautiful weaving by the great Kay Sekimachi- a titan in the craft world. Thank you to Craft in America and the Maloof Foundation. Visit Maloof from 12-4 Thursdays and Saturdays now through January 2016.